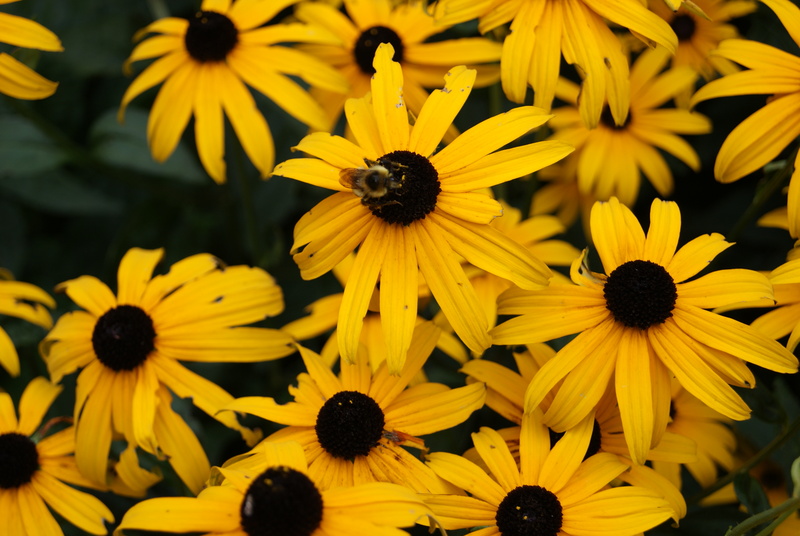 A bee is seeking nectar in the flower of a black-eyed Susan. Use better and best to make comparisons or to make a judgement on the value of something. She has a good car. Better is used as a comparison to good. He has a better car. Best is used as a superlative. They wanted the best car. The car is running well. Better is used as a comparison to well. It had a problem, but now the car is running better. That race car runs best in its class.